Tungareshwar National Park is also known as Tungareshwar Wildlife Sanctuary. After Karnala Bird Sanctuary, Tungareshwar is also a good place to explore a wildlife. This sanctuary was established on Tungar Hills. 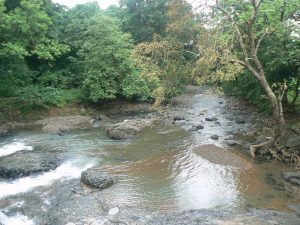 It is also referred as a part of Sanjay Gandhi National Park. This an amazing attraction of tranquility is located in Vasai, Maharashtra. Sanctuary is about 60 km away from the most populated city of India, Mumbai. This is the ultimate peaceful destination for Mumbai residents. You can spot a wide array of wildlife animals including snakes, leopards and some rare species of birds. Authorities have removed all types of the entry fee for Tungareshwar Bird Sanctuary in the year 2016. So now you don’t need to pay any amount for this. Visitors can visit this place on all weekdays between 7:00 AM to 5:00 PM. It takes 2-3 hours to explore all the attractions available in this wildlife sanctuary. Try to avoid visiting in afternoon during the month of May. How To Reach Tungareshwar National Park? By Road: Mumbai residents can easily reach here by traveling via eastern express highway / Mumbai-Agra national highway. The nearest bus stop is Tungareshwar village bus stop. By Train: If you are coming by train then get down at Vasai railway station. It is the nearest railway station and located about 25 Kilometers from the sanctuary. You can get auto or taxi from the east side of the railway station. This is one of Maharashtra’s finest birding areas, with over hundreds of resident and migrant birds. It is not just known for birds. It is also a great place to watch wild animals like the leopard, wild dogs, crabs etc. It’s a wonderful experience to watch them play and move around freely in their natural habitat. During the summer, reptiles like cobras can also be found moving around. Tungareshwar temple is another attraction located in this park premises. This holy temple is dedicated to Lord Shiva. Temple is pretty much crowded in the morning and it is surrounded by some small restaurants. If you are coming in the monsoon season then 2175 feet high magnificent waterfall is another good place for you.